I attended community college right out of high school, but I was already active in my addiction. After three semesters of increasingly worse grades and dropping more and more classes, I dropped out of college all together. I continued in the battle of addiction for 7 years until May 11th, 2012. On that day, my family staged an intervention on my behalf and told me that if I didn’t get treatment, I’d be kicked out. I promised I’d go to treatment and immediately checked into a detox facility. After six days in the detox, I went to a residential treatment center for 21 days. That was followed by 14 months of transitional living and two months in sober living. From the day I entered detox until today, I’ve remained sober. Two years into sobriety I attended massage therapy school, which was very challenging but also motivating. Massage therapy is something I have been interested in since I was young, so it was exciting to be able to make my goals and dreams come true. Coming into my 6th year of sobriety, I felt a plateau in my career and I decided to get back into school to become a Licensed Clinical Social Worker (LCSW). I am a full-time student and I work full time. When money is tight, I work as a Lyft driver to help make ends meet.. This also gives me the opportunity to meet people from all different walks of life. Recently I had the pleasure of meeting Portia. I picked her up from her retirement home to drive her to Walmart. After getting settled in the car and taking off to our destination, we easily passed the time with friendly banter. She shared with me that her daughter convinced her to try Lyft to get around town instead of the bus. She said that her children were telling her, “Mom, we know that you are not like most other older people, that you have experience with technology, so we don’t think that Lyft will be that hard for you to navigate.” I shared with her that I was very impressed with her willingness to try new things. She went on to share that her children were all established and graduated from college and are working on careers of their own. She said that when she retired from her last job as an LCSW she had the time and inclination to play around on computers and phones and different technology, but that every time you blink something changes. it was by divine intervention that we were brought together that day When she told me that she was a retired LCSW, I knew that it was fate that our paths had crossed. I said to her, “If you don’t mind me asking, what was your last job in social work? What kind of social work were you doing?” She shared that in the mid 90s the therapist licensing board of California was suing the state of Utah and the Federal Government for neglect. She was asked to join a team of other qualified LCSWs to come to Utah and help the victims that had suffered from the neglect. I shared with Portia that I am in recovery from drugs and alcohol and just started going back to school to become an LCSW. I’m not certain about exactly what type of work I want to do in this expansive field, and going back to school has taken me on a roller coaster ride of emotions; fear, insecurity, excitement, anxiety, and the list goes on. To say the least, my conversation with this stranger reaffirmed that I am doing exactly what I should be doing. I was overwhelmed with the fact that this person and I found each other in that particular moment, for a reason much bigger than either of us will probably ever understand. 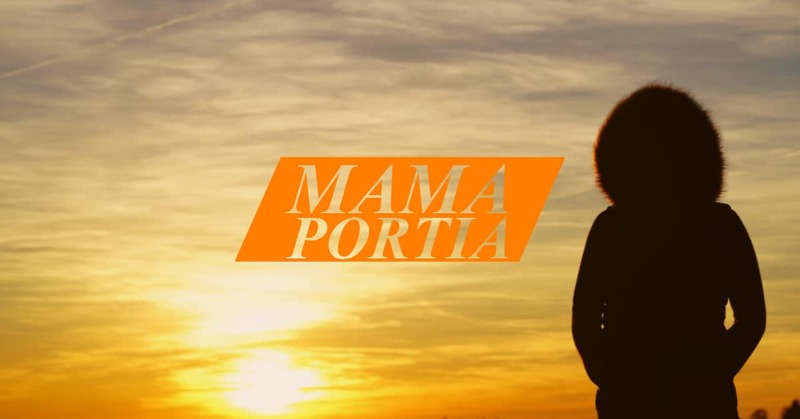 Thank God for Mama Portia.